Jack, Lord Willoughby is charming, handsome, and utterly irresponsible. In other words, he’s the worst person to entrust with the ducal wedding ring. Miss Henrietta Black is prim, proper and the ideal person to help find the priceless family heirloom that’s gone missing … as long as she isn’t distracted by Jack’s gorgeous smile and tantalizing attempts at seduction. They must find the ring before the wedding … if they aren’t too busy falling in love. Gareth Cavendish, Duke of Wessex, believes he’s chosen the perfect bride … until he meets her sister and lightning strikes—literally! Now he’s the only member of society dreading the wedding of the season. Or is he? Cleo Barrows can’t fathom why her knees weaken every time the handsome duke approaches, or why her sister isn’t in the clouds at the prospect of marrying him. 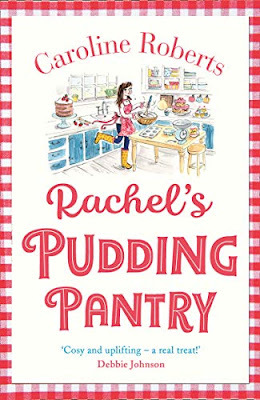 But the more often wedding plans throw Cleo and Gareth intimately together, the faster time is running out to turn the celebration of the summer into the scandal of the year. This is a collection of books by four great authors. Due to time restrictions I could only read one of the books. 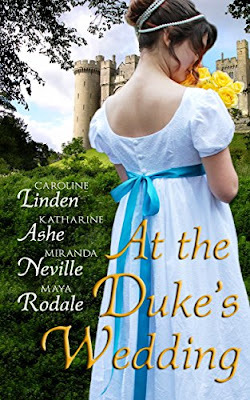 I choose to read When I Met My Duchess by Caroline Linden. There was some great characters in the book...but my favourite has to be Gareth's aunt Lady Sophronia, she is one of those people that doesn't have a filter, she just says what she thinks and she does just that with Gareth and his bride to be Miss Emily Fortescue. I do have another favourite character and that's Cleo, Emily's widowed sister. She brought shame to the family when she eloped and married a man who runs a haberdasher's. Cleo's parents I found to be horrible, they didn't want her at her sister's wedding...but they didn't find any shame in accepting Cleo's money. I loved reading this book and hopefully you will too. At some point I will read the other books, and for this reason I will give 4/5 stars, this score could change when I've read the other books.